The following article Pesticides and Polio: A Critique of Scientific Literature, is by Jim West (abridged). It was first published in The Townsend Letter for Doctors and Patients, June 2000, then republished as a 2nd edition in 2002 by The Weston A. Price Foundation, with additional material and the editorship of Sally Fallon. The article summarizes his book, “DDT/Polio”, which he had attempted to publish in 1998. This is a 3rd edition, August 14, 2015. Hayes and Laws were informing their readers about the heretic, Dr. Morton S. Biskind. In 1953, when Biskind’s writings were published, the United States had just endured its greatest polio epidemic. 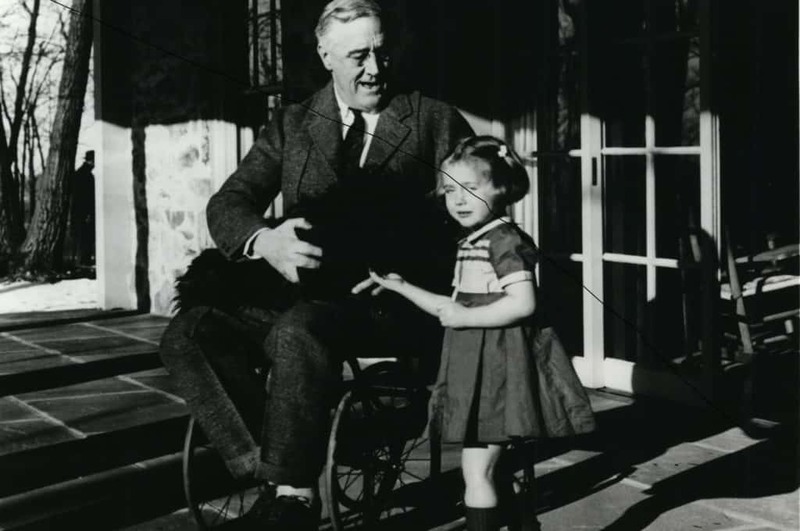 FDR in a wheelchair with the grand-daughter of the caretaker of Top Cottage. From “Closest Companion,” edited by Geoffrey Ward. The entire public was steeped in dramatic images–a predatory poliovirus, nearly a million dead and paralyzed children, iron lungs, struggling doctors and dedicated nurses. The late president Franklin D. Roosevelt had been memorialized as a polio victim who was infected with the deadly poliovirus near the beautiful and remote island of Campobello. The media was saturated with positive images of scientific progress and the marvels of DDT to kill disease-carrying mosquitos. Jonas Salk was in the wings, preparing to be moved center stage. 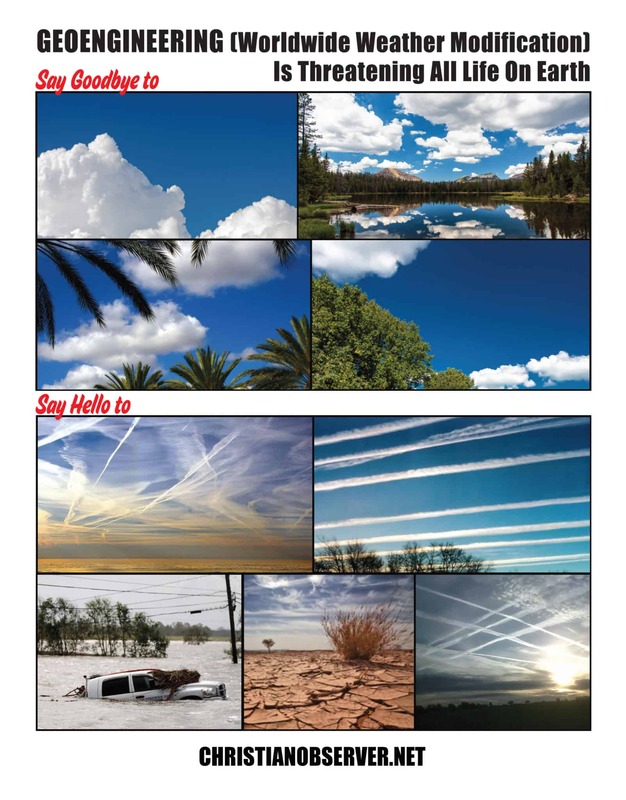 Central nervous system diseases (CNS) such as polio are actually the physiological and symptomatic manifestations of the ongoing government- and industry sponsored inundation of the world’s populace with central nervous system poisons. What could possibly have motivated Hayes’ and Laws’ biased genuflection towards germ theory? Such offerings, commonly written into the final paragraphs of scientific articles, are usually done with an appearance of impartiality. With great anticipation, I went to a medical library and found Biskind’s 10-page 1953 article in the American Journal of Digestive Diseases. Presented below are excerpts regarding polio from the article. 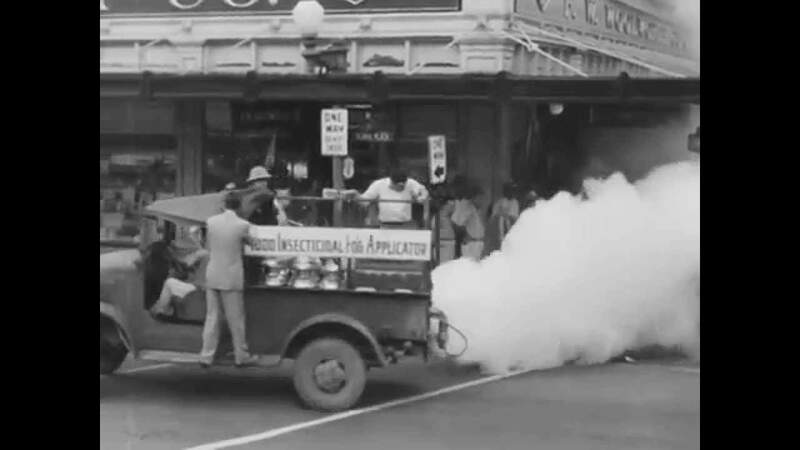 “In 1945, against the advice of investigators who had studied the pharmacology of the compound and found it dangerous for all forms of life, DDT (chlorophenoethane, dichlorodiphenyl-trichloroethane) was released in the United States and other countries for general use by the public as an insecticide. . . .
“Since the last war there have been a number of curious changes in the incidence of certain ailments and the development of new syndromes never before observed. A most significant feature of this situation is that both man and all his domestic animals have simultaneously been affected. In man, the incidence of poliomyelitis has risen sharply. . . .
“It was even known by 1945 that DDT is stored in the body fat of mammals and appears in the milk. With this foreknowledge the series of catastrophic events that followed the most intensive campaign of mass poisoning in known human history, should not have surprised the experts. Yet, far from admitting a causal relationship so obvious that in any other field of biology it would be instantly accepted, virtually the entire apparatus of communication,lay and scientific alike, has been devoted to denying, concealing, suppressing, distorting and attempts to convert into its opposite, the overwhelming evidence. 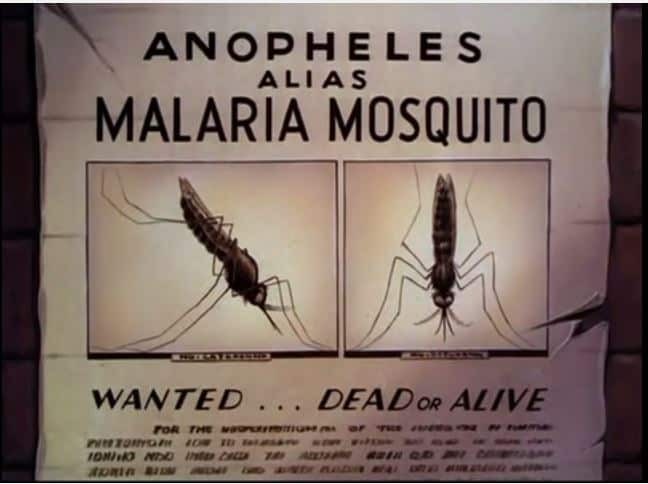 Libel, slander and economic boycott have not been overlooked in this campaign. . . .
“Early in 1949, as a result of studies during the previous year, the author published reportsimplicating DDT preparations in the syndrome widely attributed to a ‘virus-X’ in man, in‘X-disease’ in cattle and in often fatal syndromes in dogs and cats. The relationship was promptly denied by government officials, who provided no evidence to contest the author’sobservations but relied solely on the prestige of government authority and sheer numbersof experts to bolster their position. . . .
“[‘X-disease’] . 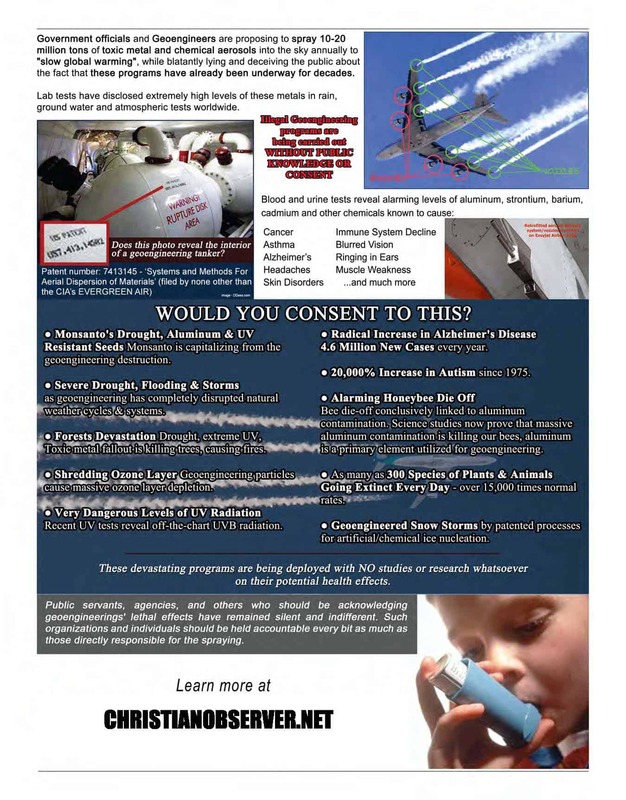 . . studied by the author following known exposure to DDT and related compounds and over and over again in the same patients, each time following known exposure. We have described the syndrome as follows: . . . . In acute exacerbations, mild clonic convulsions involving mainly the legs, have been observed. Several young children exposed to DDT developed a limp lasting from 2 or 3 days to a week or more. . . .
“Simultaneously with the occurrence of this disorder [X-disease], a number of related changes occurred in the incidence of known diseases. The most striking of these is poliomyelitis. In the United States the incidence of polio had been increasing prior to 1945 at a fairly constant rate, but its epidemiologic characteristics remained unchanged. 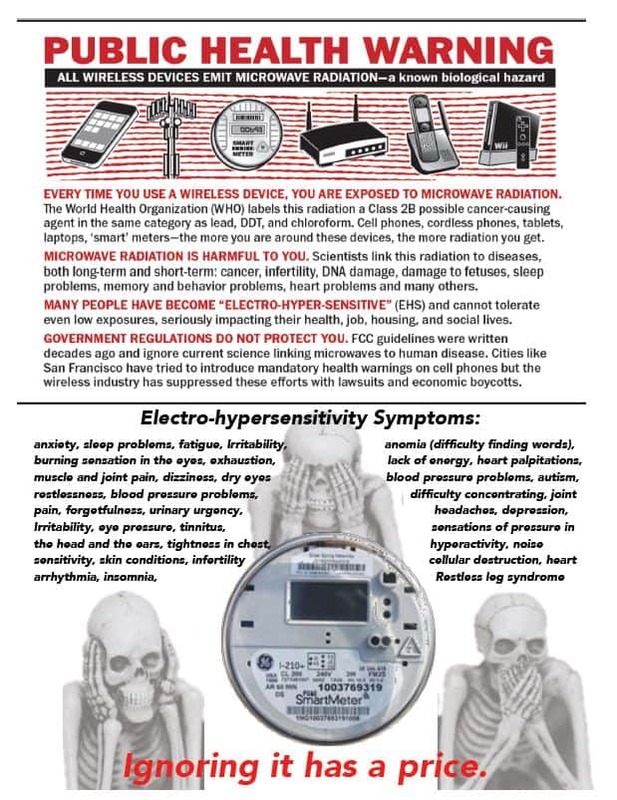 American DDT literature as a whole intends to convey that DDT is not dangerous except with regard to its general environmental effects due to persistent bioaccumulation, and that the physiology of acute DDT poisoning is therefore trivial. DDT literature uniformly jumps from descriptions of symptoms, over physiology, to the biochemistry of DDT-caused dysfunction in nerve tissue. One study in a German publication reports the physiology of acute DDT poisoning. The study confirms that DDT poisoning often causes polio-like physiology. The cerebellum and the spinal cord are especially affected by DDT. More recently, in the works of Ralph Scobey, MD,it was found that from ancient times to the early 20th century, the symptoms and physiology of paralytic poliomyelitis were often described as the results of poisoning. It wasn’t until the mid-19th century that the word “poliomyelitis” became the designation for the paralytic effects of both severe poisoning and polio-like diseases assumed to be germ-caused. Today, various other forms of the word “polio” are still used to describe the effects of neurotoxins, although usually with regard to paralysis in animals. In contemporary Britain, a farmer turned scientist, Mark Purdey, has found substantial evidence that mad cow disease, a form of polio-like encephalitis, was caused by a government mandated cattle treatment consisting of organophosphate pesticide and a compound similar to thalidomide. Morton S. Biskind had the courage to write about humans. His views fell into disfavor after the introduction of the polio vaccines, which was a grand act that proved in most people’s minds that polio was caused by a virus. By October, 1955, Biskind, whose works had been published in established medical journals and who testified before the Senate on the dangers of pesticides, was forced to self-publish his writings. A scan of MEDLINE finds no other works by him except for a very tame article in 1972, warning that diseases incurred during a patient’s stay in a hospital are not necessarily due to microbes. He died not long thereafter, in his late 60s. Governmental hearings, including those with Biskind, Scobey and others, brought about greater awareness of DDT dangers, as well as better labeling and handling methods. Due to public governmental debate in 1950-51 and numerous policy and legislative changes afterward,8,9,10,11 DDT production figures after these dates do not correlate with US usage or exposure to DDT. After 1950, DDT was continually incriminated until its registration cancellation in 1968 and ban in 1972. This article first appeared in the Fall edition of Wise Traditions in Food, Farming and the Healing Arts, the quarterly magazine of the Weston A. Price Foundation.